Controlling the amount of ambient light is essential here in the blazing Okanagan! Hunter Douglas blinds offer sweet shade solutions for your home. Window coverings are commonly reconsidered during our hot summer months due to shade requirements. Blocking as much sun as possible from entering through your windows can dramatically help to cool down the interior of your home. Sheers can be a wonderful addition to any window; creating a flowing, layered look, especially when paired with other window treatments. 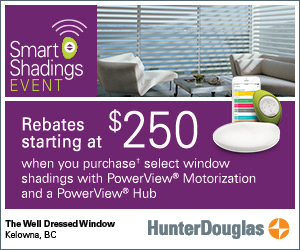 The Well Dressed Window specializes in Hunter Douglas blinds Kelowna. If you love the idea of sheers but need a bit more coverage, Silhouette blinds are the perfect Hunter Douglas blinds for any room in your home. Considering Sheer Blinds for your Home? Versatility – Use alone or pair with other window coverings, depending on desired coverage. 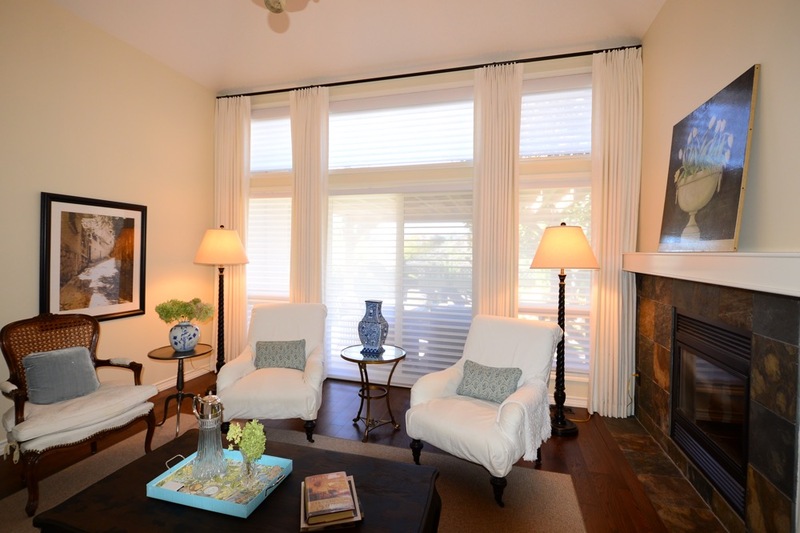 Ambient Light– Sheers diffuse the natural light and offer UV protection through your windows. Style Quotient-Textured patterns and various styles are available now, instead of the strictly plain sheer options of yesteryear. UV Protection– While sheers offer minimal UV protection alone, did you know that Silhouette blinds from Hunter Douglas can block out up to 88% of the sun’s harmful rays? Contact us today to let us help you provide some sunscreen for your home! 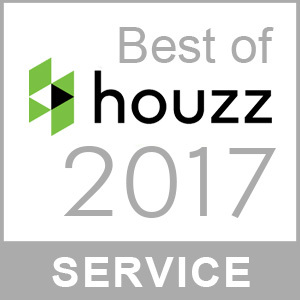 Privacy– Minimal privacy compared to Hunter Douglas blinds. Not Enough UV Protection– Window coverings do not equally block out UV rays; fabric selection is essential. Security-It is easy for people outside to partially view your silhouette at night if relying on sheer window coverings alone. The Well Dressed Window specializes in providing quality Hunter Douglas Blinds Kelowna. Look no further for updating any window in your home in a stylish and affordable manner. Durable, attractive and effective, Hunter Douglas blinds can transform your interior temperatures and prevent sky-high air-conditioning bills. If you are considering updating your shade and your privacy, we would love to come by and show you our samples and provide a quote. Adjustable and available in programmable, PowerView motorization options for your ultimate convenience, Hunter Douglas blinds put you in control of your light and privacy. Home security is always a top priority; as is reducing our energy consumption wherever we can. Hunter Douglas blinds help on both fronts. If you live in a busier section of the Okanagan, you know that tourist season brings thousands of people to our city during the summertime. The Well Dressed Window wants to help you protect your assets by increasing your privacy. Take charge of who can see into your home and how much heat is entering simultaneously. Your Kelowna blinds can update your aesthetic and enhance your peace of mind on a variety of levels. Still love shades and the soft, muted way they capture ambient light and diffuse it? Perhaps, you are looking for some window treatment inspiration? No problem! As one of the most versatile sheer window shadings, Hunter Douglas Silhouette blinds were designed with the love of sheers in mind. This is a unique combination of blinds combined with sheer drapery, for the best of both worlds. Have the capacity to completely close them for ultimate privacy and shade, and enjoy a higher level of privacy with this practical and stylish sheer window shading option. Many clients update their window treatments to incorporate black-out blinds and fabrics. This is especially wonderful for all bedroom windows. Kids and adults alike benefit from sleeping in complete darkness for their overall health and wellbeing. If these hot summer days are invading your sleep, we can help! Contact us today to get started sleeping more soundly by blocking out light pollution. Let’s Get Started On Your Hunter Douglas Blinds Kelowna! Our temperatures only continue to rise it seems. The Well Dressed Window in Kelowna is happy to assess your residential and commercial window coverings and provide you with some stellar options to consider. We look forward to meeting with you at your earliest convenience! Call us today to get started.